A smart new documentary from HBO, The Jazz Baroness, captures the many sides of the jazz pianist. There is a beneficent heat wave of attention returning to the subject of Thelonious Monk. It helps us through the blizzard of fluff perpetually focused on the cheap, the superficial, the vulgar, and the ominously insubstantial. Neither Monk nor his music was all blow but no show. It arrived and used the wordless power of music before the deluge of rock infantilized the entire world with the force of a sonic mudslide. Monk was also a living symbol of something we rarely hear mentioned today: integrity. Lee Siegel once described the problem as the money culture misshaping our lives. Individuals who are commodities and the companies that promote them are all that the public is taught to care about. Monk was not about any of that. Monk’s story also contains human issues magnetic to many. The question of love between white women and black men is one of the most boring in the entire world but is made quite interesting and even uplifting in HBO’s documentary The Jazz Baroness, screening November 25. The film was done by Hannah Rothschild, born in the British wing of the international tub of billion-dollar butter we know as the worth of that Jewish dynasty. Rothschild’s grand aunt, Pannonica de Koenigswarter, was a woman about whom too much cannot be said if the subject is her genius for human feeling. It was expressed in patronship, inarguable empathy, and misunderstood so persistently it now seems almost a fancy myth. For almost 30 years, Nica, as she was known to friends, was intrigued by the genius and charisma of Thelonious Monk, one of the grandest talents to arrive in the golden age of jazz. The Jazz Baroness goes beyond the barrel of stereotypes the screeching monkeys of society use against the intricate gusts of life swirling about us. Hannah Rothschild stands up to the tornadoes of mystery and fact that underlie what we mean about platonic love and the majesty that can define itself through tirelessly committed support. Nica’s own words are read by the ever marvelous Helen Mirren. We are told in Mirren’s disembodied narrative voice exactly what attracted Nica and inspired her to become what she was in the world that she chose. What can I say? If there are seven wonders in this world, then I think Thelonious was the eighth. He helped you see the music inside the music, and his music itself helped me see possibilities in life and ways of living that I never dreamed of. What makes the documentary great is that Rothschild goes on to answer the spiritual truth of her question though extremely deft writing, editing, and directing. Her points are not particularly new but little about human beings is. Born at one point, then died at another while the world remained casually or truculently fucked up. There you have it. Rothschild makes brilliantly cinematic points about this grand moment of simpatico that was neither hindered nor distorted by race, culture, geography, and style. An example of her profoundly subtle skill comes about 25 minutes in. There is the brief insert of a little black girl strutting in time to a drum solo so shrewdly sampled on the soundtrack. That image brings together the theme of transcendent dreams as true for her in the lower class as for a white girl suffocating from a “germless” European environment of spiritually inadequate luxury. The girl’s indifferent confidence in herself embodies the vitality that Nica sought and went for until she found it. A quite moving monologue is delivered by Monk’s son, Toot, as he recalls all of the ways that Nica expressed the depth of her empathy in the things that she did. The sheer humanity of this unusually sensitive woman almost brings Monk to what would have been sappy on screen but is so effective because we feel the tears of awe for her implacable care and generosity. The Jazz Baroness fits along with DVDs essential to comprehending an important aspect of American civilization as expressed through the life and art of Thelonious Monk. There are Straight, No Chaser, which took the jazz documentary to fresh heights, and Thelonious Monk, American Composer, a superbly edited display of actual awareness and aesthetic thought as often missing from the talk of jazz musicians themselves as from those who seek to show them off to a disinterested world. Finally, one should go to “Epistrophy” from Thelonious Monk Live in ’66. When Monk takes off in his feature, the man, the instrument, and the music itself become exactly the force that enchanted a Jewish baroness looking for a place in and of the world where her spirit could live all the way up to the top. 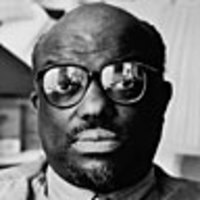 Stanley Crouch's culture pieces have appeared in Harper's, The New York Times, Vogue, Downbeat, The New Yorker, and more. He has served as artistic consultant for jazz programming at Lincoln Center since 1987, and is a founder of Jazz at Lincoln Center. In June 2006, his first major collection of jazz criticism, Considering Genius: Jazz Writings, was published. He is presently completing a book about the Barack Obama presidential campaign.